NOTE: This upper assembly has a barrel less than 16” in length. These uppers are intended for use in AR pistol or legal short-barreled rifle builds. Other configurations may violate Federal law. The muzzle device on this barreled upper receiver has not been pinned and welded. Expect nothing less than professional grade weaponry from Bravo Company USA, one of the nation’s largest stocking inventories of AR-15, M4, and M16 parts and accessories. 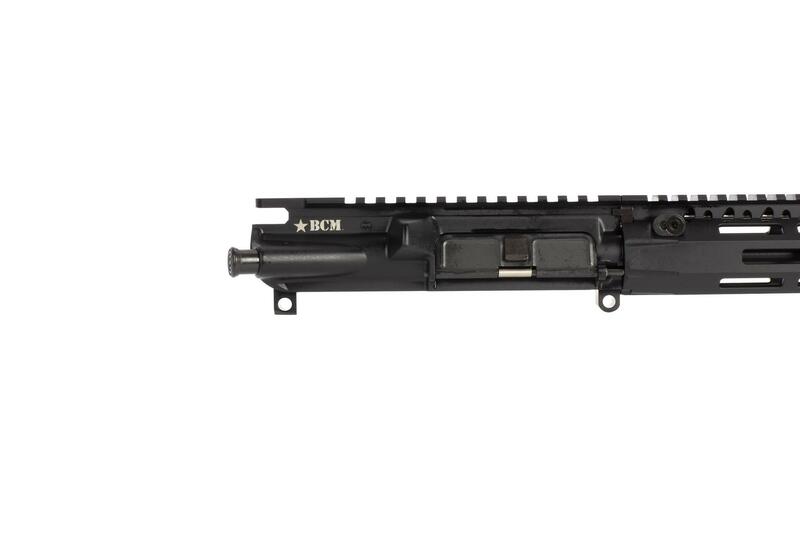 This BCM barreled upper receiver is built for professionals with the Mil-Spec features that are required for optimum performance. The barrel is cold hammer forged out of 11595E steel for increased barrel life and accuracy and then parkerized in a Manganese Phosphate finish to absorb oil and prevent corrosion. The coating is applied before the front sights to ensure every section of the barrel is protected from the elements. The 5.56 NATO chamber and bore are chrome lined making it harder than steel, which aids in chambering, extraction, and overall reliability and further increasing the life of the barrel. 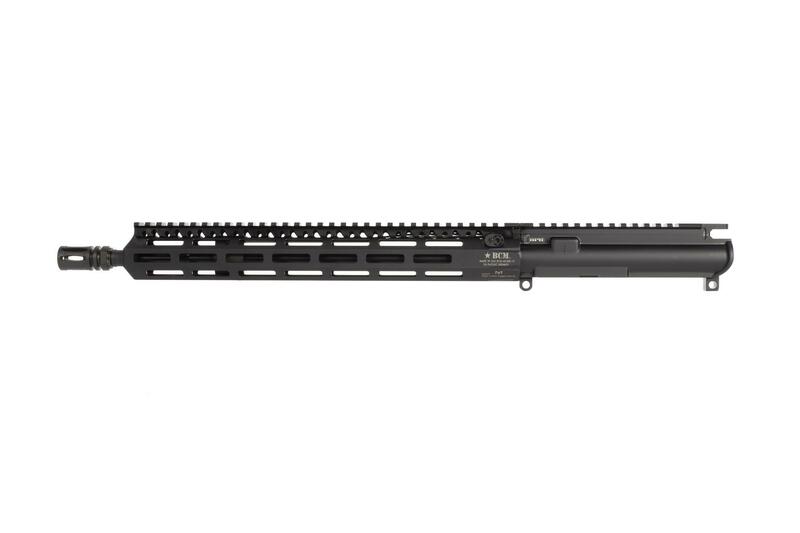 This barreled upper assembly features a mid-length gas system that strikes the perfect balance between low felt recoil and reliability. 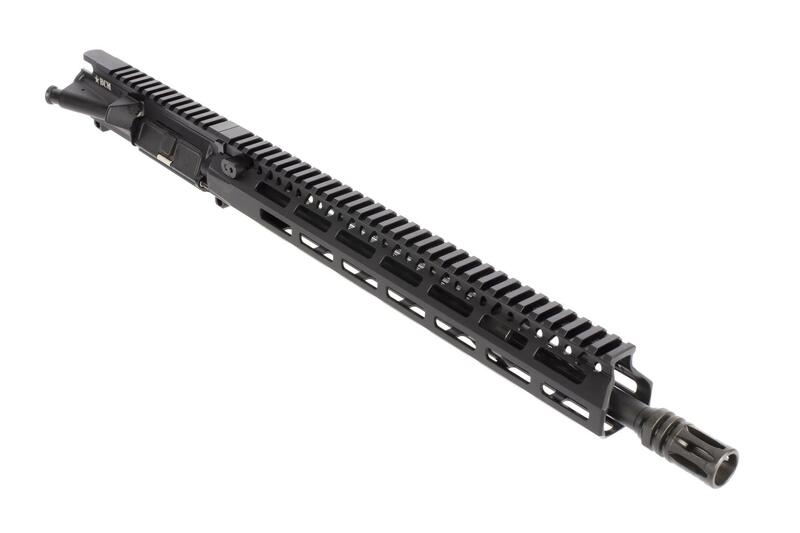 The M4 feed ramps utilized on the barrel extension as well as the upper receiver help to increase reliability when firing multiple rounds in rapid succession. NOTE: Does not include a bolt carrier group or charging handle. 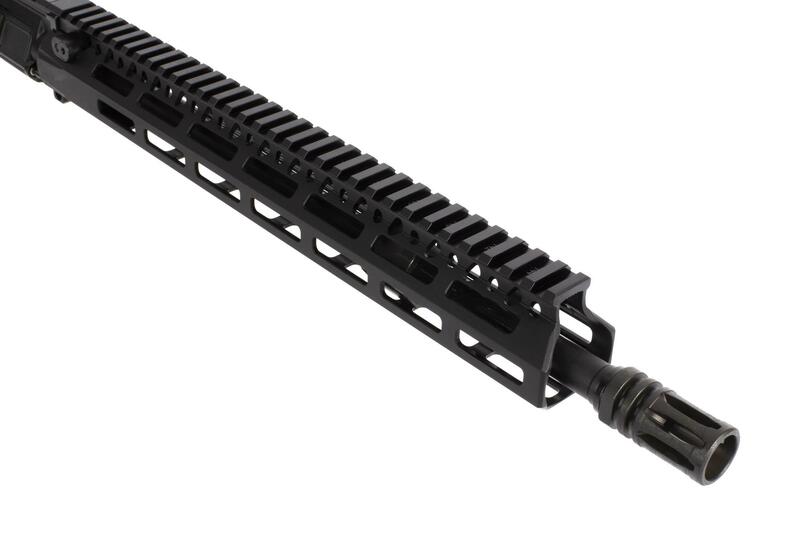 Another main feature of this upper receiver set is the lightweight barrel profile. Instead of a standard M4 style barrel shape, this barrel is uniform along the entire length to increase durability and barrel harmonics for accuracy while decreasing the weight. 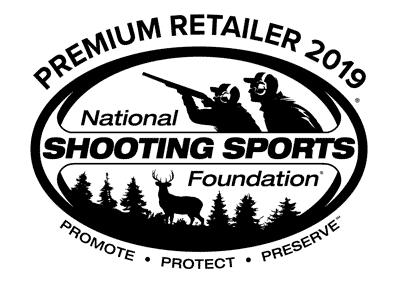 All barrels undergo a high-pressure test (HPT) to guarantee that they will withstand the variety of pressures that you get with different types of ammunition. Along with this test is the magnetic particle inspection (MPI) which helps to identify any imperfections along the metal surface. Every upper receiver is fully assembled, headspaced, bore sighted, test fired, and inspected per strict military specifications before leaving the factory. 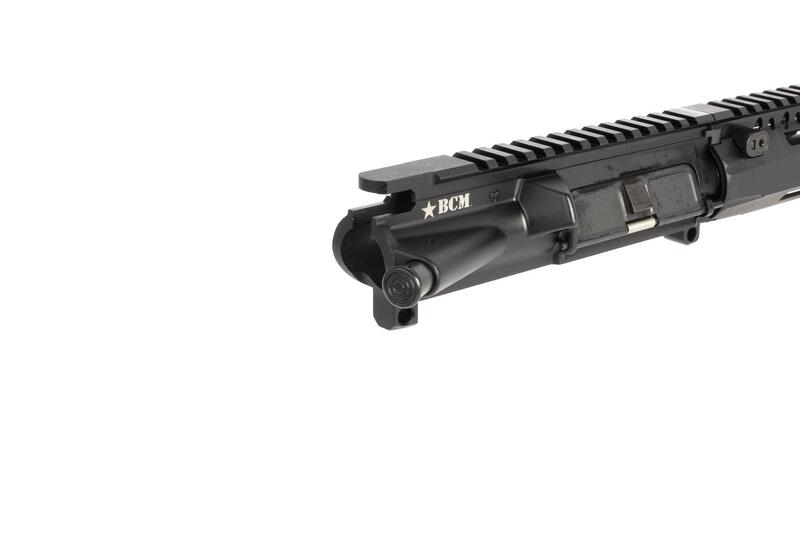 The BCM MCMR Handguard eliminates external load on the barrel, reducing deflection for more accurate shooting. M-LOK mounting slots and a continuous Picatinny rail provide all the space you need for your favorite accessories. This barreled upper receiver is the perfect match for your AR15 pistol lower receiver or will make an excellent tax stamped short barreled rifle.